 Springfield Township, Montgomery County, Pennsylvania is accepting resumes for a full-time Director of Parks and Recreation. This is a salaried position with a regular workday of 8:30 am – 5:00 pm for a total of 37.5 hours per week. Some nights and weekends are also expected. The employee reports directly to the Township Manager and is responsible for developing and organizing youth sports programs and other forms of leisure and recreation for township residents of all age groups. The Director is also responsible for coordinating seasonal maintenance activities and planning and implementing capital improvements at township parklands and recreational facilities. The successful candidate must be able to work closely with other operating departments to achieve goals. Job functions include the preparation of the annual departmental budget, establishment of operating policies, recruitment of volunteers, hiring and evaluation of employees and contractors, and the introduction and assessment of new programs, activities and community outreach. Serves as administrative liaison to the Parks and Recreation Advisory Board. Bachelor’s Degree in Parks and Recreation, or other closely related field, along with 3 to 5 years of experience in parks management and/or recreation programming required. Salary is dependent upon qualifications and experience. Resumes, cover letter and salary history to: A. Michael Taylor(MTaylor@springfieldmontco.org), Assistant Township Manager, 1510 Paper Mill Road, Wyndmoor, PA 19038. CLOSING DATE: MAY 3, 2019. SPRINGFIELD TOWNSHIP IS AN EQUAL OPPORTUNITY EMPLOYER.